A young woman haunted by a family tragedy is caught up in a dangerous web of lies and deception involving a secret society in this highly charged, addictive psychological thriller that combines the dishy gamesmanship of Gossip Girl with the murky atmosphere of The Secret History. One summer day, Grace Fairchild, the beautiful young wife of real estate mogul Alistair Calloway, vanished from the family’s lake house without a trace, leaving behind her seven-year old daughter, Charlie, and a slew of unanswered questions. Years later, seventeen-year-old Charlie still struggles with the dark legacy of her family name and the mystery surrounding her mother. Determined to finally let go of the past, she throws herself into life at Knollwood, the prestigious New England school she attends. Charlie quickly becomes friends with Knollwood’s "it" crowd. Charlie has also been tapped by the A’s—the school’s elite secret society well known for terrorizing the faculty, administration, and their enemies. 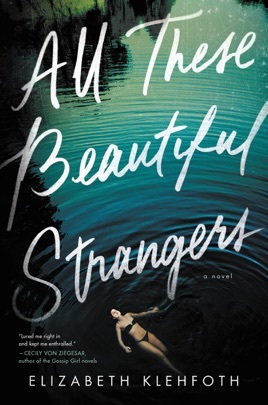 To become a member of the A’s, Charlie must play The Game, a semester-long, diabolical high-stakes scavenger hunt that will jeopardize her friendships, her reputation, even her place at Knollwood. As the dark events of past and present converge, Charlie begins to fear that she may not survive the terrible truth about her family, her school, and her own life. I am a student at University and I usually have a hard time getting into books while studying. Whenever I read leisurely I get stressed and convince myself that I should be doing a reading for school rather in this ‘spare’ time. This book made me forget all about that. It has a perfect balance between teenage lust with honest depictions of relationships between friends. The true dynamics between rich family members are captured so effortlessly. It has a great deal of suspense without bordering the unrealistic but also just enough that it doesn’t turn into a generic teenage drama. An incredible read and I tremendously recommend it for anyone that is of a ‘younger’ age and looking for a book that makes you never want to put it down! This book is the perfect beach read. The whole time while reading you are on your toes. Amazing writing and a suspension read. If you are looking for a great suspenseful mystery with drama, then you found the right book. This book had me guessing the conclusion throughout to the end. I also love all the details that reoccur later in the story.